Welcome to the inaugural four-way guest posting of NorthSouthEastWest! 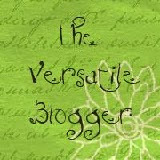 We are four expat bloggers who have joined together to rotate our monthly guest posts from the four corners of the world on each other’s blogs: Linda (Yours Truly) at Adventuresinexpatland.com (North), Russell at Insearchofalifelessordinary.com (South), Erica at Expatriababy.com (East) and Maria at Iwasanexpatwife.com (West). Sometimes we’ll have a theme (July’s theme today is Where We Are Right Now), some months we’ll just write about whatever strikes our fancy. I hope you enjoy today’s guest post on my site, and that you check out my NSEW guest post over at Russell’s site. Better yet, why not check out all four?! Alfred Lord Tennyson wrote these words in 1850, and ever since, well-meaning people have been offering them as a salve for the broken-hearted. What’s that, you ask? What does a Victorian-era poet’s pronouncement on the value of lost love have to do with repatriation? Quite a bit, as it turns out. For many of us, repatriation is all about rebuilding our lives – and often, our identities – once our expat days have drawn to a close. We leave a part of ourselves behind when we move back home, and the intensity of this loss can easily rival that of a romantic break-up. Think for a moment about the parallels between love and expatriate life. When you first meet that special someone, you’re enchanted by his strength/accent/beauty/wisdom/old world charm. You can imagine yourself being with him forever. After a while, though, cracks start to appear in the perfection of your life together. Those little quirks you once found adorable become irritating. Sometimes his behaviour baffles you – angers you, even. You tire of struggling to make yourself understood. You start to wonder if you’d be better off without him. So you break up and go back to your old life, but somehow it’s not the same. You miss him. And it hurts. Sound familiar? It’s the expat life cycle (one version of it, at least) in a nutshell. I’ve lived through that romantic roller coaster many times once or twice, and I’ve always had a sneaking suspicion Lord T was talking out of his backside when he proclaimed that the pain of losing love is preferable to the emptiness of never experiencing it. I was even more dubious when I repatriated – the loss of my expat life affected me so deeply that I seriously wondered if it had been worth it. It was with mixed feelings that I’d finally bid adieu to my expat status. I knew there was much I would miss, but after years of living in a state of perpetual bewilderment, I looked forward to an unambiguous life. No more struggling to fit in, no more wondering what am I doing wrong? Once I was back home, I didn’t have to mentally run through the norms of grocery shopping before heading out to the store. I didn’t have to map out entire conversations in my head before opening my mouth. I no longer needed to be constantly alert to all the subtle nuances that can trip up an unsuspecting expatriate. For a couple of months, it was heaven. And then those tiny cracks started appearing, and I realized that in my haste to return to my pre-expat life, I had overlooked one small detail: the dreariness of living on auto-pilot was what drove me to make that big move in the first place. The truth is, I’ve never felt as alive as I did when I lived overseas. The challenges were sometimes overwhelming, but they were definitely not boring. I knew I had to mourn the loss of my old life before I could even think about moving on. It took about two years to work through the grief, but now I can honestly say that things are good. I’m at a point where I can embrace the positives of being home while remaining philosophical about the negatives. Sometimes, though, I’m hit with a wave of longing so vivid, it brings me to my knees. If I close my eyes, I can see the vines ripening in Bordeaux, or smell the heady aromas of a Singaporean hawker centre. In my darkest hours, the enormity of what I’ve lost makes me wish I’d never moved abroad. But then I remind myself that if I hadn’t taken that leap, I wouldn’t have met the people who continue to make my life sing: Kate, Susanna, Josephine, JB. I wouldn’t have strolled atop the Great Wall of China, learned to speak Mandarin, or had the pleasure of watching my daughters grow into the global citizens they are today. My life would have been infinitely emptier. It’s taken some time, but I’ve come to understand that if something’s worth loving, it’s worth remembering – even if the memories are bittersweet. I guess that means I owe Lord Tennyson an apology. The old guy had it right after all. And some of us end up ‘staying on’ because we can’t quite leave the expat behind. Thanks Maggie. You’re the first person to comment on Maria’s great post (and so the first on my site to be a part of our inaugural four-way NorthSouthEastWest Expat Dispatches post). Yay! Oops, I guess we should have arranged door prizes. Leaving the expat life behind is a hard thing to do, that’s for sure. Knowing it’s not necessarily forever takes the sting out though! That’s right Maria, you’re expat days may only be ‘temporarily suspended’. And you never know what raising two global citizens will mean! Great post. I returned to the UK after 5 years in Spain with my son (now 11). I loved all of it and hated plenty of it, made some good friends. But sometimes you have to do the right thing, and educationally Spain left my son standing in a cold shower. So I returned for him and have really no regrets at all. I still have my glorious home which I used to run as a B&B but now people can go and visit it (check the website link if you’d like to have a mooch), but I also retrained as a yoga teacher in Hereford and so live life 100% alert, attentive, and bettering my life on a daily basis. If you love what you do, wherever you are in the world you’ll never have to do a day’s work! I guess the trick is to know when to move on and embrace it positively. I doubt Liam and I will stay in Turkey forever. There’s too much pulling us back to Blighty – friends, family, familiarity. We’ll never be able to cut the ties nor do we wish to. The rotating guest posts is a great idea by the way. Thanks Jack, we hoped folks would find NSEW interesting. It’s challenging to enjoy living in the moment while keeping one eye on the door, but as you said ‘the trick is to know when to move on and embrace it positively’. Perhaps we subconsciously do just that when we savor what’s going on right now. I have been living overseas off and on since I was 16 and for the past six years I have been living in Asia, with no thoughts as of yet about repatriating. BUT this post has got me thinking. There is a likelihood that I WILL be returning to Canada one day and I never gave much thought to the idea that doing so involves a bit more than booking a ticket and organizing the movers. Maria, I wonder if this issue of identity crisis you mentioned is of particular concern to the trailing spouse. The leading spouse (?) returns to the home country still secure in his / her job and the identity that it provides, while the trailing spouse often has to reinvent him / herself with each new posting, the only constant being his / her expat status. Repatriation removes that one identity marker. I guess there’ll be some serious thinking for this trailing spouse to do. You hit the nail squarely on the head Erica. So-called ‘following spouses’ often face serial reinvention with ‘expat’ being the constant. Can’t wait to read the posts/articles that are brewing in Maria’s mind as I type! Oh yeah, they’re brewing all right! One thing I’ve been spending a lot of time thinking about lately (and will write about soon) is how life stage affects that identity crisis. When I repatriated I was in my mid-40s and a stay-at-home parent to two kids who were old enough not to need intensive parenting. The economy had just tanked big-time, and I couldn’t find a job. Those emotional, cultural and biological changes created a perfect storm of misery that I suspect would have been quite different if I’d been younger, employed, and/or had small children. Food for thought! I have to agree with you there; life stage makes a difference. One thing I have been grateful for is that I did my ‘career detox’ steps when we moved from Washington DC to North Carolina (before eventually moving overseas a few years later). Very glad I’d dealt with many of those identity issues, it would have made becoming an expat harder if I’d been trying to handle both at the same time as many women people have had to. Looking forward to your posts! That’s a great analogy – lost love – because I think grief is a huge issue for repatriates. It’s one we find hard to talk about because friends and family are likely to take it as a personal insult that we’re not always happy to be back and we’re reluctant to share our pain with expatriate friends for fear of alienating them. I think most people, myself included, are unprepared for how long that grieving will take, no wonder many just turn around and leave again. Excellent point, Judy, thanks. Grieving over loss is an aspect of expat life that many want to downplay, but that’s neither healthy nor reality. At some point, you have to face yourself and your true feelings. This is a great post and a terrifying post at the same time. I have a distinct fear of returning to my pre-expat life, and can vividly imagine how, like Maria, I’d mourn my expat life, suffering the loss and struggling to fit in with a ‘normal’ existence. Whilst I’m sure I’d ‘recover’ in time and come to appreciate the decision to return, the thought of what I’d give up may end up keeping me in expat land forever. Really insightful post, Maria. Enjoyed learning about your experience. Maria has shared such a beautifully written piece of insight and honesty. I love it. I may not love the foreshadowing of potential challenges to be faced ahead, but love it nonetheless. Thanks Russell. Ditto. We’ve been living in the Mid East for 6 yrs and really dont like it. We are financially ready to go back to Australia but haven’t been able to take that step. Aaaargh! Great idea Linda and a wonderful start! Love all the comments- each has added another perspective on what we all know can be a huge issue for the expat or global nomad. To add to the discussion the Captain and I will not be repatriating “home.” We know from trips back that although the dream of being in the familiar and safe is tempting, we know the cracks and how soon they would appear! As the article says so eloquently, there is a reason expats leave home in the first place, usually because they want the challenge even though it can be unbelievably tough on so many levels. Off to check out the other post! Excellent point ‘we know the cracks and how soon they would appear’. Glad you like the NSEW concept; I think all four posts this month make for an interesting view into ‘Where We Are Right Now’. Thanks! I am also in a situation of “returning home” although I have never lived in my new destination: NJ, USA. We have decided to try to stay 10 years in the same location for my son who is now 9 and allready moved in 4 countries. We chose US because my son was born in NYC, he has been educated in English and we have the green card. In addition in NJ the public school system seems good. I don’t know if and when I will be desperate to move again:-) For now I am very happy with our plan for stability. Thanks Anne. Maria always weaves a wonderful story and draws you in. Understand your desire for family stability (my NSEW guest post today addressed the same theme involving my daughter’s education – my son returns to the US for college next month). Great that you can continue your coaching and specialized support – you’ve definitely found a global career that you can continue virtually anywhere! What a wonderful idea to rotate posters — and what a daunting mass of emotions you went through. This particular post has given me a lot to think about. My husband and I met whilst travelling over 17 years ago, we just left Australia in December after spending 10 years there (complete with several house purchases, serial renovation, and owning businesses), and right now we are in our 7th month of full time travel. We are alternating between loving it and occasionally missing the stability of a home. And we’re trying to sort out where to settle down once we do stop. We’re a bit of a tribe ourselves, aren’t we — we itchy-footed travellers? And we end up with loved ones all over the globe. It’s a dilemma we faced in Australia when we loved our house and our dear friends and our life — but we were also bored with the same-old-same-old of day to day life. I’m pleased to see that mention was made of the various stages of people’s lives. We are middle aged rather than backpacker age and the quality of life and health care in various EU countries is on our particular minds as well! Thank you for this excellent post and I am looking forward to reading more in the months ahead. Thank you Deborah, I’m glad you enjoyed the ‘four-way’ concept. Maria’s piece is lovely indeed. Your own situation sounds like a wonderful adventure (for however long it lasts), and I love your blog name! I took a look at your site (great photos) and read the piece on lingering feelings of uneasiness while in Eastern Germany. I had a similar experience in a small town outside Budapest Hungary; the vibes were strong that life hadn’t always been so calm and seemingly uneventful. Do keep in touch as you wander the globe, and I’ll check out your blog as well. Wonderful comments! Thanks to all for taking the time to reflect on what comes “after.” Tennyson, who wrote his famous words about the death of a friend, was wise enough to accept that when we allow ourselves to love, we open ourselves up to heartache. It’s the people who never know love who are spared the pain of loss. Now that I’m through the worst of it, I see “repatriation grief” as a fair price to pay for a pretty awesome expat life. Love how you’ve summed it up Maria. Opening yourself up to taking in the full range of the experience, even when it’s overwhelming or confusing or challenging helps you experience great things; it’s wonderful that you can see the upside of ‘repatriation grief’ for what it can be. Wonderful post and comments, like balsam for the soul to me. My expat experience at this point consists of having thought we´d always move on because of the nature of my husband´s job – and then it didn´t happen. So between moving back to the familiar and British or moving away again to the even more exotic, (China?) I just feel stuck in Spain! I wonder how many of us wanderlust folk are Sagittarius, like me. Maybe some of us just can´t settle and have the nomadic bug even if it causes all sorts of symptoms and side-effects. Personally, I would only ever move back to the UK if it did not involve carpeting! After our Spanish tiling I´d find carpets (especially bathroom carpets) unacceptable, upsetting and possibly dangerous. 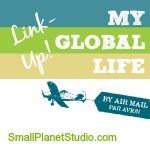 Thank you, Maria at I Was an Expat Wife wrote this particular post and it’s marvelous. I visited your site and found some lovely, amusing, heartfelt posts. Your story is an interesting one, one that I am sure is shared by many. Feeling caught between cultures and countries can definitely be a hazardous side effect of moving overseas. Thanks so much for commenting, and keep writing! I did a google search to see if anyone has talked about this specific topic to help me deal with feeling out of sorts being back in the States after living in Argentina a year. It’s not that much time but I built a small circle of friends that were like a family to me and this grief feels very much like a break-up. I really appreciated this post, thank you. Thanks for stopping by; Maria’s post is truly heartfelt. Repatriation isn’t covered in as much depth as expat transitions, but I would highly recommend taking a look at Robin Pascoe’s Homeward Bound and Ruth Van Reken and the late david Pollock’s Third Culture Kids: Growing Up Among Worlds. So many people know of the latter as the ‘TCK bible’ and skip over it thinking it’s all about children, but it’s THE literary cornerstone of the expat existence (living in different cultures). What they write about resolving grief and loss affects everyone. Just today I met a Dutch woman repatriating after 11 years abroad and she hinted that it’s far harder to come ‘home’ than she’d ever expected. Not surprising when YOU are so changed by your experiences. (I’ll be inviting her to get together and introducing her to some friends, as well as sharing about some of the repatriation info out there.) I hope you’ll return, and also check out Maria’ blog I Was an Expat Wife and Judy Richardson’s Wife in a Suitcase – both are repatriates and share candidly on the challenges.. I love this piece. I spent a year on antidepressants after our last repatriation, feeling a bit like the characters on the tv show LOST, saying “We have to get back to the island!” Or in my case, any country that wasn’t the USA. We’re back in Asia again after a five year stay in the US, and every day I wake up with a song in my heart, a spring in my step, and gratitude in my soul that my days of living abroad are not yet over. I think the most difficult thing for me about repatriation was the lack of understanding from my non-traveling friends: “You’re back home now, I’ll bet you’re so happy!” The truth is that my home isn’t one place, my heart is spread out throughout the world and like a mom mourning an empty nest, I too mourned that I could not be with all those little places that make up my life story. What an absolutely beautiful explanation of the tugging that goes on in many of our hearts when we move ‘back home’ or on to the next place. I really appreciate your sharing this as I know many who will see themselves in it. For our non-expat friends and readers (and there are quite a few), this helps shed light on our feelings. Thank you so much! Really interesting reading. I followed my husband to Norway 6 years ago. I have never settled and hope to one day go home to the Uk. But I am terrified of the repatriation process. After 6 years you develop an identity and make friends and I wonder how much of a wrench it would be to lose those even if you never wanted them. A strange dilemma! You make a good point Claire, about wanting and fearing repatriation at the same time. Time doesn’t stand still for anyone: not you, not those you left behind, not those you are or will be meeting in this life. Had you stayed, certain friends would have fallen by the wayside. You would have seen others less and less. That’s natural. We age and our interests shift as we reach different stages of our lives. Wherever we are or decide to be, we have to be willing to live fully. Thank you so much for commenting, and I hope you end up where you truly want to be. This is a perfect article for me right now. I’ve been living in Italy for 19 years, have a good job with the UN and benefits. However I’m still a fish out if water here, have recently ended a long relationship – he too is American – and after dating here for a bit and approaching 50 with no family ties here I’m miserable and longing to return to my “home” in California. I will be giving up “security” of a job I spent 13 years at but that us it! I like my work but my colleagues gave made my life a living hell for years. I have nothing in common with the men: I am super independent and they are exhaustingly invasive. The women are still not easy to befriend. On the other hand Italy is a beautiful place and the lifestyle is wonderful in that one takes it slower here. We get 6 weeks off a year and health benefits and a pension when we retire. But all this and no one to enjoy it with me.